You may not visit every part of your home daily but you are going to spend considerable time in the washroom, everyday. Therefore, your washroom should be pleasant, comfortable and practical at the same time and not a place that you hate going into. If the old layout of the washroom irritates you, poor lighting does not accentuate your face beauty or leaky fixtures get in the way to let you get ready quickly and efficiently - it is the high time to renovate your washroom. Following are the few signs that indicate it might be the time to upgrade your bathroom. Whether you are blinded by the high-intensity lights in the washroom or the lights are so dim that you can hardly notice your features in the mirror - it is time to change the bathroom lights. Better light fixtures with LED light bulbs may be the first step to upgrade your bathroom. In olden days, designers used not to incorporate storage spaces or walk-in showers in the bathroom layouts. If you do not have these features in your washroom or have awkward layout of the bathroom, it is time for an update. Moving away the toilet from the bath tub or installing a walk in shower space can be an awesome feature and winning move. Isn't it weird to notice that you can see something in a picture, which is not so obvious in real? You must often take pictures of your bathroom to notice, what can't be noticed with naked eye. Remember, only a picture can accentuate the features of a bathroom - from a mismatched colour palette to the mold pile up in the corner. If you have wallpaper or false ceilings still hanging around in the bathroom - it is the right time to update your bathroom. Wallpapers do look classic but try adding it in a novel way. For instance, you can use wallpapers on the ceiling to give it a whole new look. If you do not have oodles of storage spaces in the bathroom, it is the time to upgrade the space. Install vanity or add shelves under the sink. You can even move the wall of the adjacent room to create a closet. 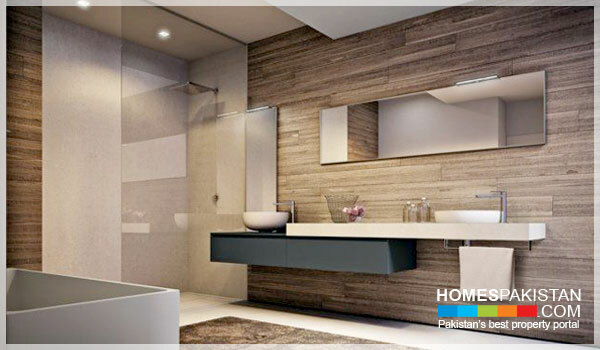 If you are ready to redesign your washroom, you must think about the look you want in your new bathroom.